Just arrived at Fleet Feet Sports Madison. GEL Cumulus 16 & Nimbus 16. Both have made some tweaks to already very popular running shoes, and in our opinion, some nice improvements. 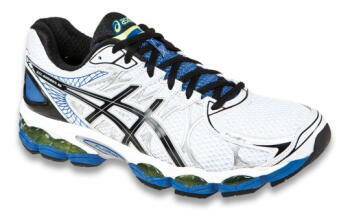 In the GEL Cumulus 16, they have increased the rear-foot and fore-foot GEL cushioning units. When combined with an improved FluidRide midsole, this really creates a plush feeling. A refined open-mesh upper continues the soft and luxurious feel. In the GEL-Nimbus 16, an updated Guidance Trusstic System provides a smoother transition through the gait cycle that compliments the FluidRide mid-sole. A slightly lower profiled upper completes a nice improvement to one the best shoes for supinators. Want to run on clouds? Runners look no further than the new GEL-Nimbus® 16.